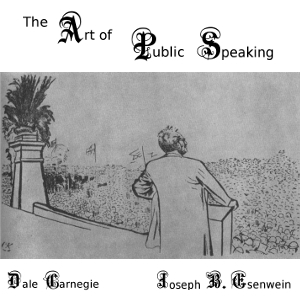 Listen to "The Art of Public Speaking" on your iOS and Android device. Great book. I\'ve enjoyed listing to it very much.